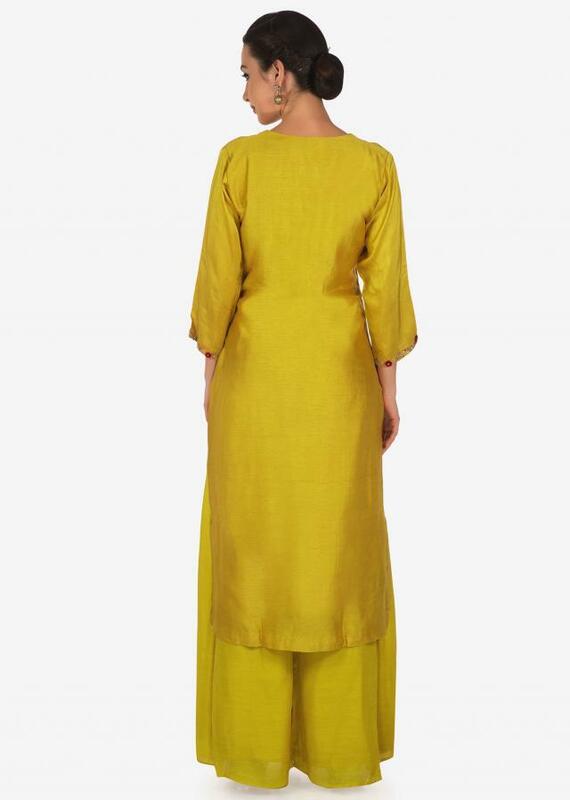 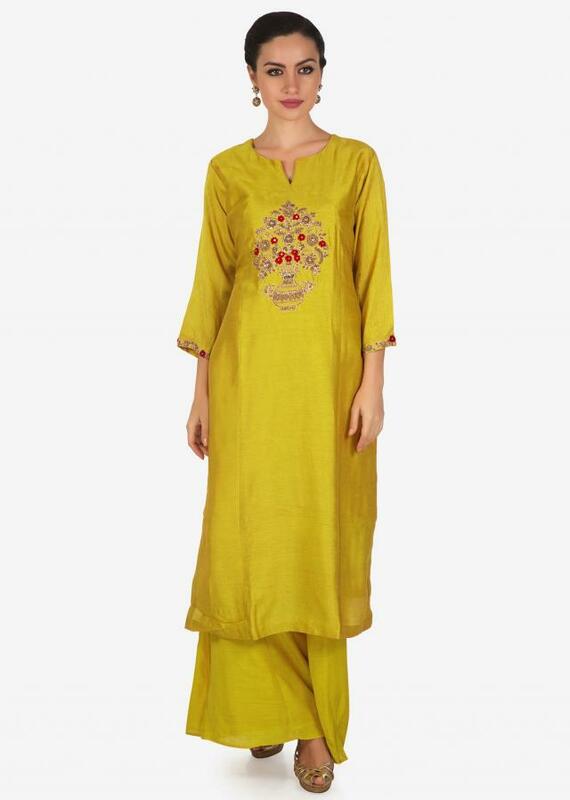 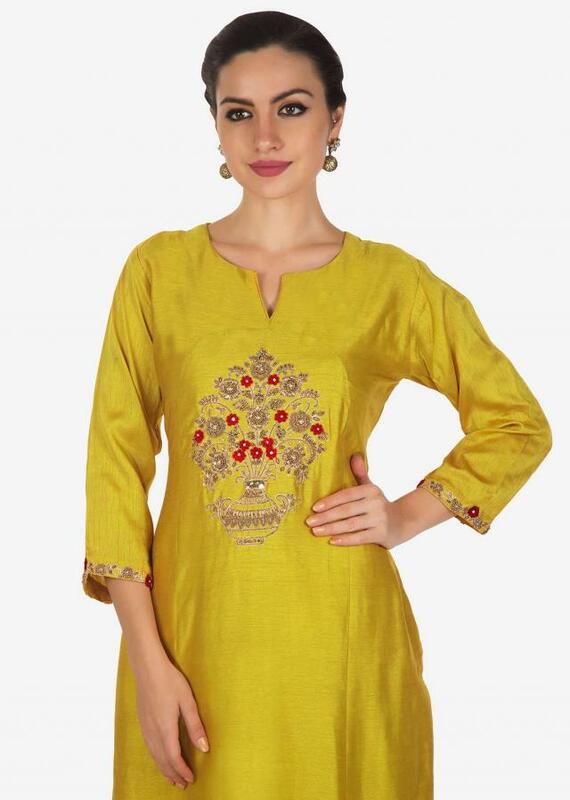 Canary yellow palazzo featured in cotton fabric with an excellent comfort you desire for. 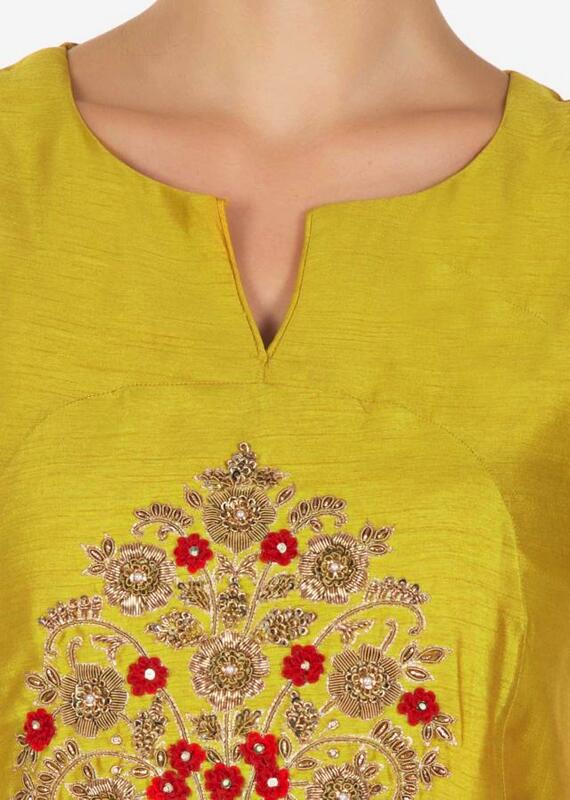 It is embellished using the zardosi and french knot embroidery work. The suit is matched with an palazzo in cotton.